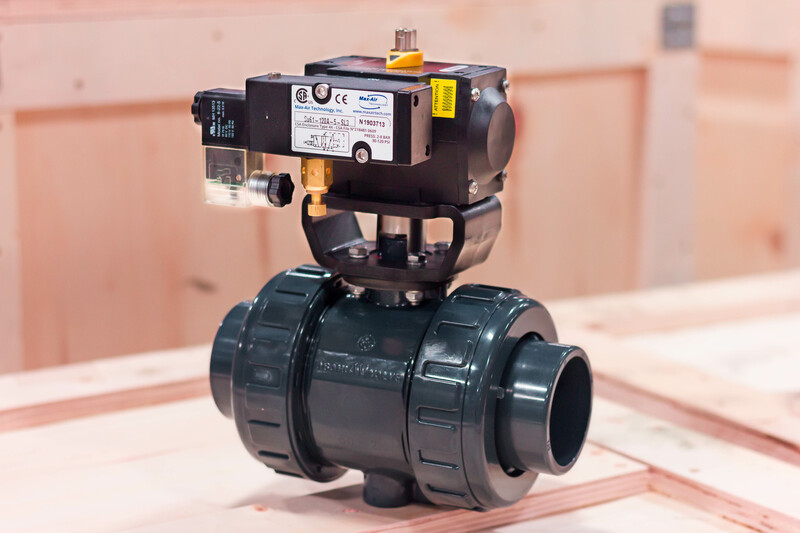 Technopolymer actuation for this PVC ball valve, complete with mounting bracket and solenoid valve. Our UT Technopolymer actuator is perfect for corrosion resistance. They are available in three sizes and are covered with up to 500 in-lbs of torque (Double–Acting).